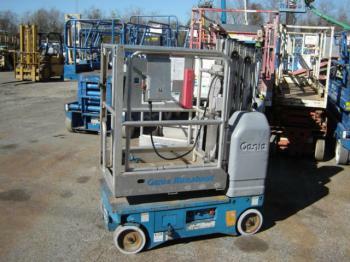 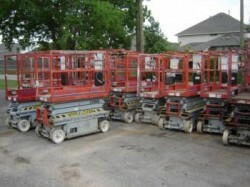 The Genie GR-12 and Genie GR-15 Roundabout are compact and low-weight machines that fit in most elevators and doorways. 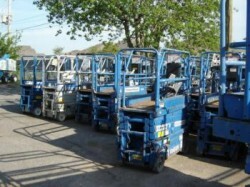 Ideal for general maintenance and inventory management, the Genie GR-12 and Genie GR-15 Roundabout are compact and low-weight machines that fit in most elevators and doorways. 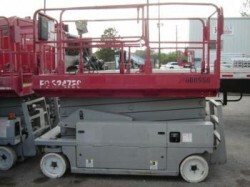 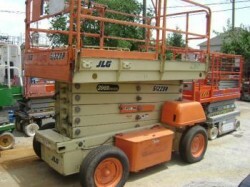 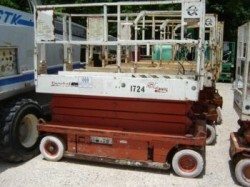 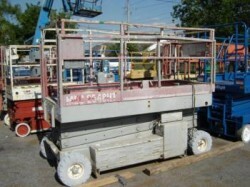 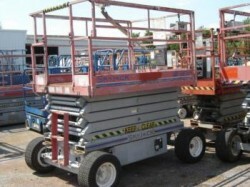 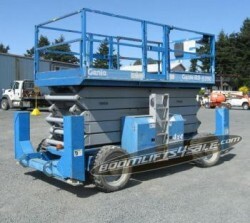 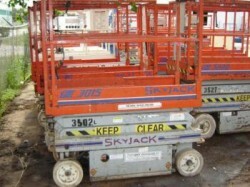 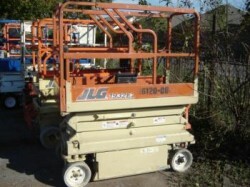 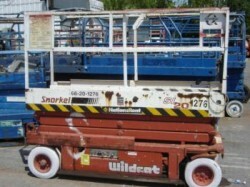 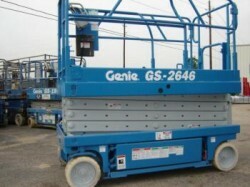 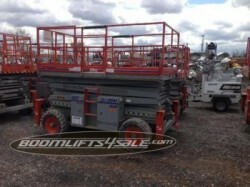 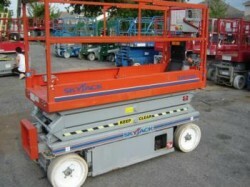 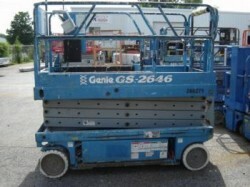 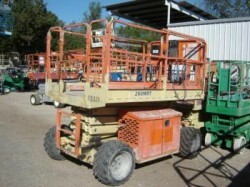 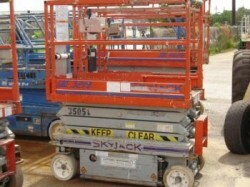 The Genie GR-12 has a working height of 17 feet 5 inches, a stowed height of 5 feet 2 inches, and a width of 29.5 inches. 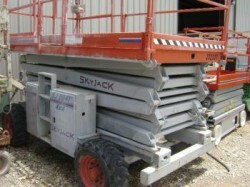 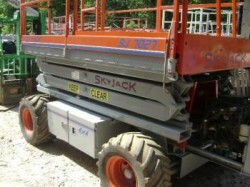 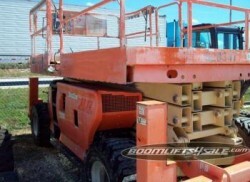 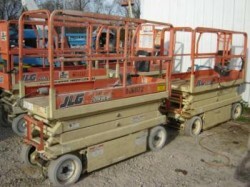 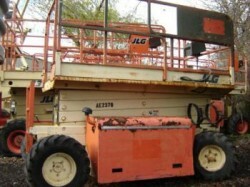 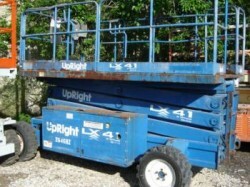 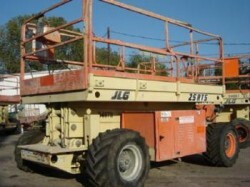 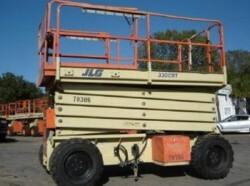 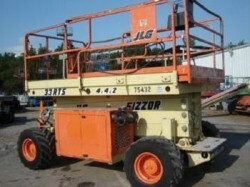 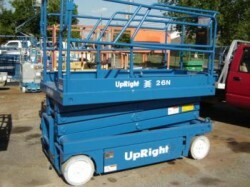 It lift capacity is 500 lbs. 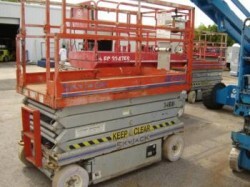 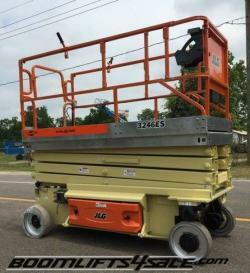 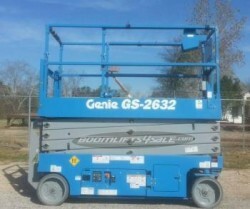 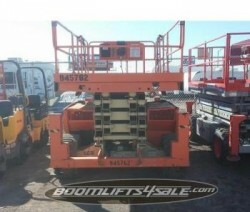 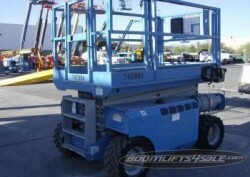 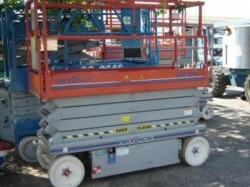 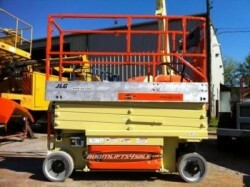 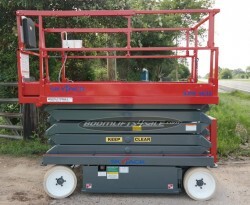 The Genie GR-15 has a working height of 20 feet 8 inches, stowed height of 5 feet 2 inches. 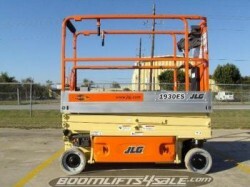 It is 29.5 inches wide and has a 500 lb lift capacity. 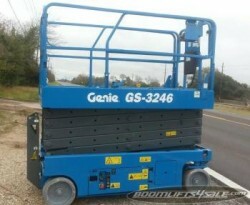 Only the Genie GR-15 has proportional controls. 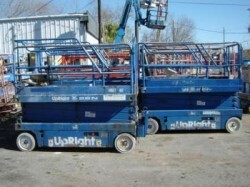 Both models have zero inside turning radius and 30 percent gradeability. 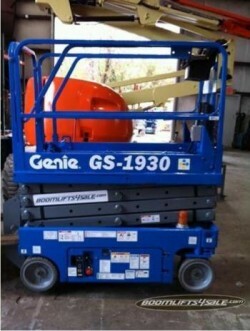 We have new, used and refurbished models starting at $2,900.